Towards the end of 2010, I started reading the actual book of Randy Pausch entitled The LAST LECTURE even though I had seen the video recording of it on youtube. 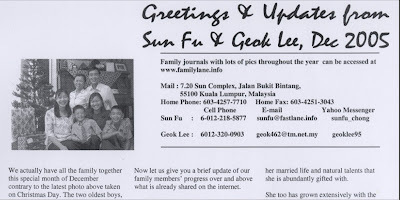 The book was loaned by our friend Eng Huey from PJ while she was in Singapore which I borrowed after Mom had read it. I recommend all to read it even if you have watched the video. There is something about how one can soak in a book carried with you for a period of time no matter where you are! The author never-the-less does an amazing job expressing himself about Living while he is Dying of pancreatic cancer, whether in written or video format. As you get to know Randy by reading his words or listening to him, you cannot help but feel his great Optimism in Life, declaring that he is no way living in Denial. He pointed out that he used a couple of head-fakes in his LAST LECTURE. Head fake is a popular technique employed in football whereby the Quarter back points the head in one direction but throws the ball in a different direction. He started off his talk as if it was about achieving childhood dreams but he revealed at the end it was more about how to lead your life in the right way so that the dreams eventually come to you. He then asked the audience, "Have you figured out the second head fake?" Then, he told them, "The talk wasn't just for those in the room. It was for my kids." Carnegie Mellon Professor Randy Pausch,born in 1960, gave his LAST LECTURE at the university on Sept. 18, 2007. He lost his battle with pancreatic cancer on July 25th, 2008, leaving behind his wife Jai with 3 children, Dylan (5), Logan (3) and Chloe (1+). Over 6 million downloads of his video lecture has since been made. About the same time I was reading the LAST LECTURE, I dug up a DVD of the 2009 latest Star Trek movie that I had bought several months ago but did not watch. One fine day just after New Year's day, I found the time to watch it and discovered this latest movie had a very interesting plot in it. It somehow tied to the old characters of Mr Spock, Scotty, Dr Mc Coy and Capt James Kirk through a time travel story line. 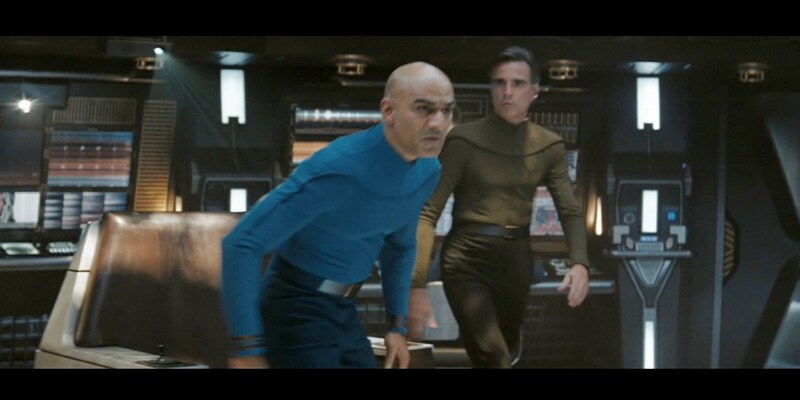 It reminded me of Randy Pausch and his dream of being Captain Kirk which he considered fulfilled when William Shatner showed up to his virtual reality lab at the University one day. Shatner put on the 'head-mounted display unit' where he could just turn his head to immerse himself in 360-degree images of his old ship created by Randy and his team! 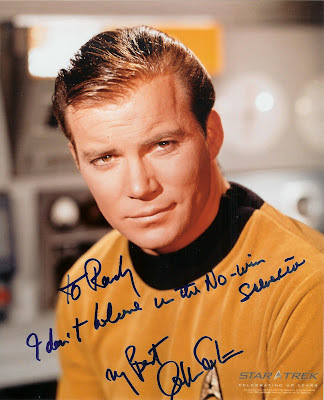 Apparently, after Shatner learned of Randy's diagnosis, he sent him a photo of himself as Kirk. On it he wrote : "I don't believe in the no-win scenario." 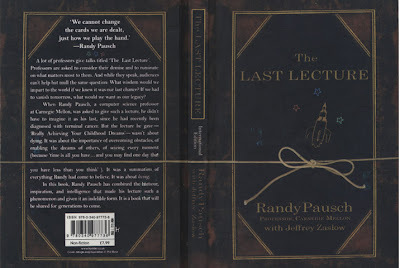 Just today, as I checked online on some of the websites on the life of Randy Pausch, I was surprised to learn that Randy was actually in the movie I had seen. 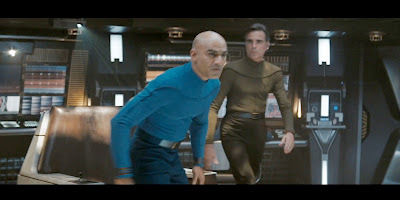 Director J.J. Abrams gave him a small part as a crew member right in the beginning of the show which I replayed and videoed this section below. Randy is seen walking from behind the Captain with a short exclamation, "Captain we have a Visual!" Thanks Eng Huey for loaning the book to me that has inspired me for the start of the 2nd decade of the New Millineum.